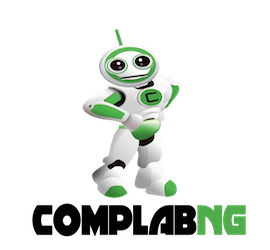 The Computer Lab (Nigeria) (“Complabng”) is a Consulting Platform offering free consulting services to micro entrepreneurs on Information and Communication Technology (ICT) and legal issues. We provide a platform where professionals in the areas of ICT and Legal services can connect with micro entrepreneurs and vice versa. The creation of Complabng was borne out of the empathy we have for micro entrepreneurs to ease the multitude of challenges they face on a daily basis. At Complabng our goal is to provide up to date ICT tools and skills to help these categories of people increase their operational competence and optimise performance. Furthermore, we would help cut cost on ICT-related problems via provision of reliable, cost-effective solution specific to their needs. We provide this service to them without charging them a dime. Micro Enterprises as you know are the economic bedrock of any economy. Every economy in the world that had ever grown, grew on the basis of Micro Enterprises and the need for ICT is vital to the survival of such enterprises. We at Complabng have taken it upon ourselves to assist such categories of people with the access to various ICT solutions. We also link these categories of people with experienced legal practitioners who would offer legal services such as business registrations, vetting and drafting of contractual agreement and many more to budding entrepreneurs. Our channel of communication includes Facebook, Twitter, Email and we always ensure a feedback time of 0-24hrs.